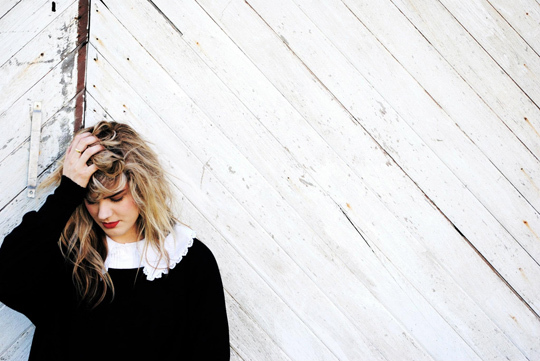 Fearful of singing publicly eight months ago, bets were placed amongst family members in attempt to coax twenty-one year old singer songwriter Bec Sandridge out of her shell (or rather small, sea-town bathroom in Stanwell Park, Australia). Such bets truly paid off mid 2011. Moving from guitarist in folk-pop band Mad Polly (Melissa Creagan), sharing the stage with such international artists including HUSKY, PASSENGER (UK), Stu Larsen (AU), Emily And The Woods (UK), Matthew Barber (CAN), Skipping Girl Vinegar (AU), Custom Kings, Andy Bull, Owl Eyes, Yellow Fever (TEXAS) and Adalita (Magic Dirt), at world class venues and festivals including Ronnie Scotts (UK), Apollo (Scotland), Proud Camden (UK), The Regal Room (UK), Sydney Blues & Roots Fest ’11, Newtown Festival (AU), Ox Art Factory (AU), Bec Sandridge is truly making a name for herself, enticing a solid fan-base with hypnotic folk-pop sounds. Her debut EP ‘What was Left’ was launched online via iTunes reaching #57 on the Australian Singer-songwriter Charts, #8 Triple J Unearthed Indie Charts, whilst being featured in YENmag’s online edition of ‘upcoming musicians for 2011′.